» Will high vibes lead to low in relationship? Will high vibes lead to low in relationship? Love.. happiness.. are higher vibrations…. Considering above situation….Will higher vibrations sometimes lead to lower??? In order to answer this question, we first need to get into alignment with what love is because it has been twisted and turned a bit and lost it’s true meaning. Also this is a huge topic which is why I wrote a book about it, but I will give you some insight here to consider. There was a fellow about 2000 years ago who said the words Love Ye One Another. What does this mean? It means that we don’t need to give or receive love, that we are love and we express our love to all equally by seeing them as whole, complete and the powerful creator of their reality, perfect in every way. We see them as unique and with gifts and talents, we want them to have their desires so they have the fulfilling life experience they want. We have no conditions of this, we do not need them to please us or do things in the way we want, or in any certain way, we realize everyone has a different way to experience life in joy and we honor and respect that. This is why love is a high vibration, always a high vibration. When feeling badly is linked to love, you know for sure it is not love, love is pure positive energy 100% of the time. So indeed we can love one another and that is the way it is meant to be. Love is to each of us like sap is to a tree so we don’t need to give or receive it but simply express in loving ways. But somewhere along the way we got to believing that if someone was attractive to us and we were interested in them and felt good about them and wanted to be with them that this was love. But love has nothing to do with that, that is not love, that is simply being attracted to that person because they have qualities that are alluring to us. We like their qualities and it feels good to be with them. Once we spend some time with a person and we find that in the big picture we are not really that suited for each other, there are some good connecting points but we have many differences (or a few really big ones) that prevent each of from being together in an easy flow of joy, so we stop connecting with that person but we still love them all the same. We want them to be who they are and have the life they want and we want this for our self as well. We just realize that we are not suited for each other, no big deal, we can attract the one that is suitable. Now if everyone approached relationships like this it would make the experience so much more pleasant, but it typically does not happen like this. People find some points of interest in another, get together in a relationship and then start finding there are compatibility matters that really don’t allow for a good connection. But instead of realizing this and carrying on our own respective journey, people stay together and one starts expecting things of the other that the other does not want to be or give, they start holding each other responsible for their happiness and expecting the other to please us. We tend to start trying to get the other person to be what we want them to be and that is when old hell breaks loose, the fighting, the hating, the anger the jealousy etc. When this happens it is a simple sign the one or both people are not getting what they want. It’s a sure sign that the upfront work was not done to understand the compatibility. It’s also a sign that we picked up the faulty belief that others are supposed to be what we want them to be, to act the way we want them to act. And as we can see that does not work out to good. So if there is fighting and what not going on, it’s nothing to do with love, it’s all about compatibility. These 2 people need to sit together and kindly, gently and friendly let each other know what it is that they want in the relationship and see if the other is willing to give it. Sometimes it is just a misunderstanding which can be easily solved, sometimes it is a difference that can be successfully bridged and sometimes it means you can’t be together successfully, there just is not the connection that allows each person to be themselves and have the experience they want. Again no big deal. Just get into the vibration that attracts the desired experience. 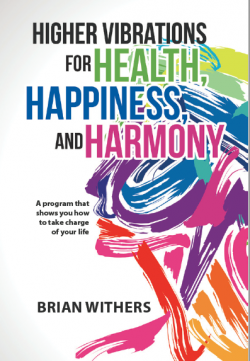 My book gives the complete process to line up your energy to attract your ideal partner and how to know when you meet someone if they are that ideal person. 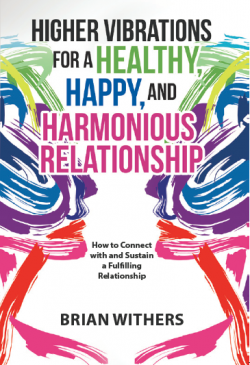 If you do what is in the book, guaranteed you will will connect with and live a joyous life with your ideal partner. Remember, just as we were not educated on our true energy nature and that we are the creators of our reality and why, we also receive no real education on how to connect with and go through life in our ideal relationship. So somewhere along the way we got to get that info if we want to have that experience.